We offer the ultimate time-saving service for those who can't spend as much time as they'd like in the garden. Introducing Pick & Plant from Calloway's and Cornelius. Stop by and explore our selection of the season’s freshest, hand-picked plants and choose the plants you want. There is a minimum installation fee of $350, excluding plant purchases. Speak with one of our in-store Garden Services advisers to make sure you have everything you need (top soil, mulch, etc) for a successful garden project. Then we’ll schedule your Pick & Plant installation! We Do The Planting. You Enjoy! We show up with the plants you selected and the tools necessary to plant them. You show us where you want them and we’ll have your plants professionally planted in no time. “Did want you to know, the company that came out was very professional and detailed. They were on time and were finished within a few hours. They were knowledgeable and offered advice where we needed it. We would give this experience a 5 star rating! 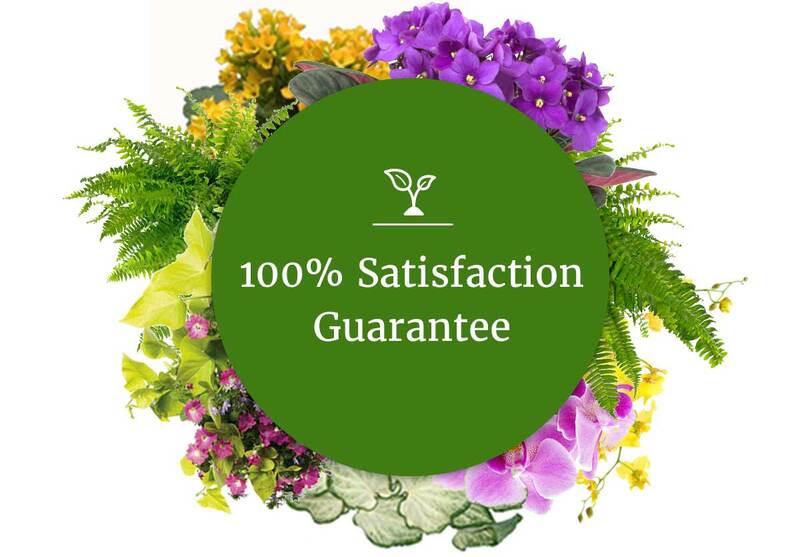 !” Kourosh & Lisa M.
With Pick & Plant you will receive our 100% Satisfaction Guarantee on our expert knowledge and unmatched quality of products.